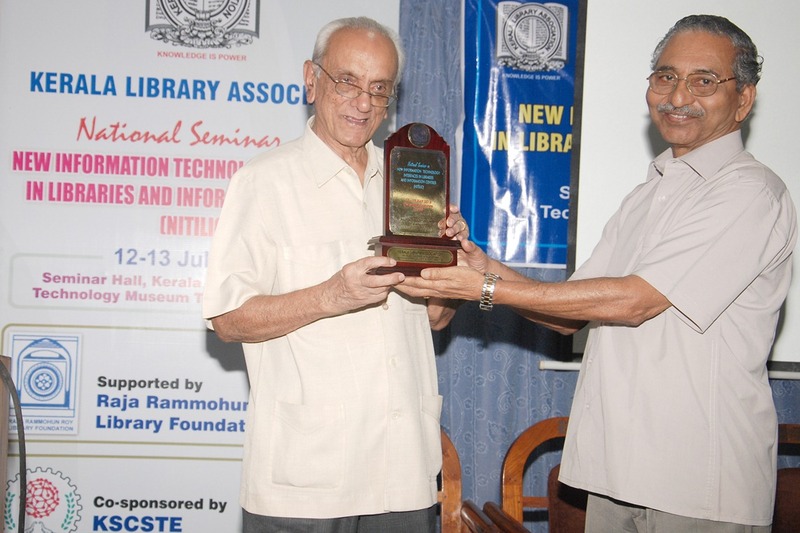 The seminar on New Information Technology Interfaces in Libraries and Information Centres was organized by Kerala Library Association, supported by Raja Rammohun Roy Foundation (RRRLF), Kolkata and co-sponsored by Kerala State Council for Science, Technology & Environment (KSCSTE), Government of Kerala. It was aimed at reviewing the current scenario of information technology, new strategies for better management of information, ensuring best practices by fully utilizing the ICT systems. 132 professionals working in academic libraries, R & D libraries, corporate libraries, public libraries as well as academicians across the country participated in the two-day national seminar. In addition to the inaugural and valedictory sessions there were six technical sessions in all, spread over two days. Each session was chaired by an eminent personality in the library & information science field and had a lead paper presented by an expert. A total of 27 papers were presented on various topics. By S L Faisal in Seminar Updates on July 16, 2013 .